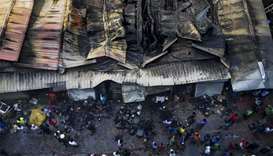 People pray for the victims of a fire in Dhaka yesterday. 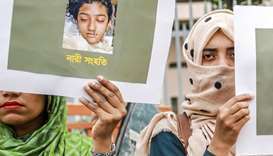 Mass funerals were held yesterday for victims of a devastating fire in Dhaka – fuelled by illegally stored chemicals – that killed nearly 70 people, as investigators revealed that an even bigger disaster was narrowly avoided. Hundreds of chemical drums were found in the basement of one of five blocks engulfed by the inferno in the Bangladesh capital’s historic Chawkbazar district. “A huge bomb” would have gone off had the fire spread to the basement, according to Mehedi Hasan Ansary, a professor at an elite engineering university who is a member of an official probe committee. “The impact would have been devastating,” he said. 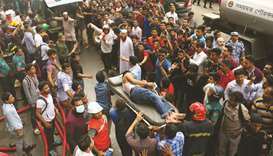 City authorities said 46 bodies from a disaster that saw victims burned alive by fireballs in the street have been identified and handed over to families for burial. 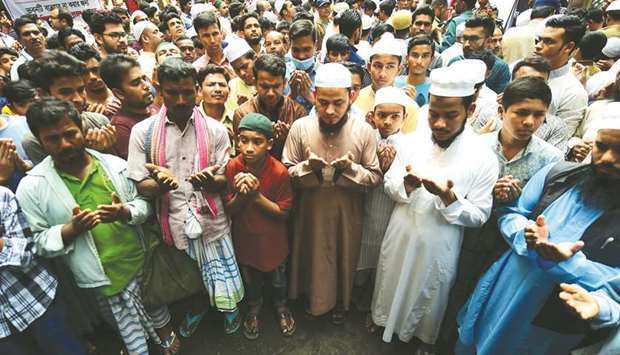 Many were from Noakhali district in southwest Bangladesh, where funerals were quickly organised. Special prayers were also said at Friday prayers in mosques across the country. 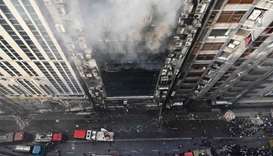 Police forensic experts were brought in to carry out DNA tests on at least 21 other bodies burned beyond recognition. “We were just lucky,” said national fire chief Ali Ahmed. “The whole neighbourhood would have been engulfed if the fire had reached the chemicals in the basement. 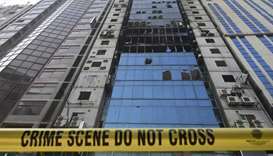 It would have been like a bomb and the building would have collapsed,” Ahmed said. The fire is believed to have been started late Wednesday by a gas cylinder explosion which quickly spread to at least five buildings. Victims were burned alive by exploding canisters that sent fireballs into the streets, smothering people in flames as they walked, rode in rickshaws or ate in local restaurants. Dozens were injured, including nine listed in critical condition. 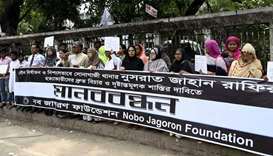 The disaster was a repeat of a June 2010 fire in the nearby neighbourhood of Nimtoli in which 123 people were killed. Again a blaze ripped through residential buildings that doubled as chemical warehouses. While a criminal inquiry has been launched, authorities faced difficult questions over why action promised after the Nimtoli disaster was not carried out. 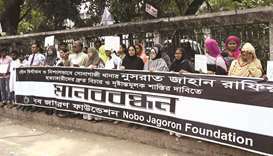 Dhaka Mayor Sayeed Khokon vowed to launch a new crackdown and move chemical warehouses from residential buildings to an industrial area outside the capital. “We will sit with law enforcement agencies, do our homework and then launch the drive,” he said, promising to start the crackdown by next month. A building would be sealed off if one of 29 types of highly inflammable chemicals were found, he added. Ansary, however, said city authorities faced a near-impossible task as a 2015 survey found that most of the residential buildings in old Dhaka were being used as warehouses. Residents said chemical storage is a lucrative business in Old Dhaka where building owners allegedly bribe authorities to turn a blind eye to the stores. “We have sent letters of warning many times. But nothing happened. 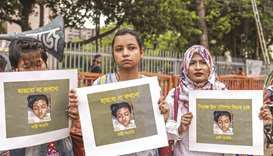 If these buildings continued to be used as chemical warehouses, there will be repeat of this tragedy,” said Zulfiker Rahman, a fire department director. Rahman also said the five buildings devastated this time did not have basic fire safety protection. “They did not have fire extinguishers, the exit and entry passages of the buildings are very narrow,” he said. The Daily Star highlighted how action to move the chemicals had been promised after the “Nimtoli fiasco”.